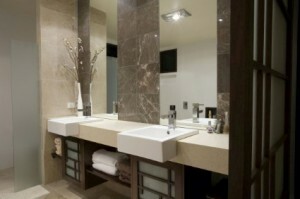 When you are planning a Chicago bathroom remodeling project, you don’t need to spend more than you can afford! The professionals at Gary’s Home and Bathroom Remodeling can help you get the most out of your budget for this project. Home improvement projects are great investments. Remodeling your Chicago home can raise its resale value significantly as well as update it for your pleasure. But that doesn’t mean that the project needs to be expensive in order for it to be a great idea. If you are looking for a bathroom remodeling project that won’t bust the budget, there’s no need to worry! Here are a few ideas from our Chicago handyman pros that can help you keep your project within your budget while you improve your home. The average bathroom remodeling project in Chicago costs around 8,956 based on 2017 figures. However, the actual amount spent by individual homeowners can be way different. The amount that you’re willing and able to spend depends on your financial situation, your home, and what you’re looking to achieve with the project. Start by taking an honest look at your financials and determine a budget that’s realistic for you. When you’re deciding on your budget, also take into consideration the amount of time you plan on staying in your home. If it’s five years or less, then the main concern may be how big of a return on your investment you can get when you sell your home. If you’ll be staying longer than that, then your main focus should be the comfort and enjoyment that your family will get from your new bathroom. When you’re planning your bathroom remodeling design, don’t forget to account for the cost of labor, which is usually around 1/3 of the entire cost of the project. If you need to cut costs, start with any amenities that you’d like to include but aren’t necessary. If you’re working with a smaller budget, figure out what essentials your project needs, and see how much more room you have for any more add-ons. Of all the things that can go wrong with a bathroom remodeling project in Chicago, the worst is having to go over-budget. There are a number of unforeseen expenses that could crop up, and you want to be sure that you’re prepared for that. So when you’re planning your budget, it’s best to leave yourself some wiggle room. You should always be wary of any plumbing issues. Once you’ve gotten ready to redo flooring and install new fixtures, you might find out there are some budget-busting problems that you had no idea about. Be sure to have as many plumbing issues resolved as possible beforehand. Our Chicago remodeling contractors recommend you have around 10% of your budget reserved for unexpected problems. At the end of the job, if you didn’t have to spend that, you can look at adding a few of the more luxurious options you got rid of while cutting back costs. 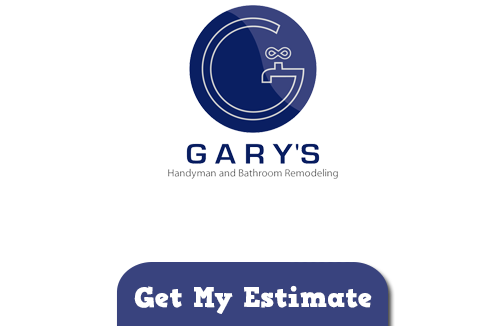 If you have questions about Bathroom Remodeling or are looking for a Handyman Company in the Chicago area, please call Gary’s Handyman and Bathroom Remodeling at 847-800-4279 or fill out our online request form.